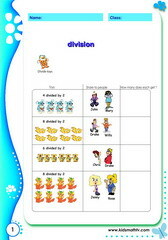 Division math worksheets for children from 2nd to 7th grades. 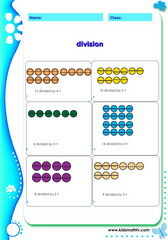 This web page simply spoils your with printable tests on division and extra resources for teaching primary school. Teachers and parents seeking to teaching any of the following topics can come here for more teaching aids: introducing kids to division with pictures and objects, basic division problems, division word problems, long division, division of single digit numbers, division of large numbers and more. 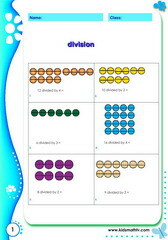 Test your division skills with these math tests. 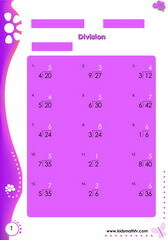 Practice Division basic with this worksheet. Practice Division long division with this worksheet. 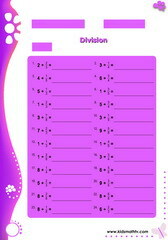 Practice Division match ups with this worksheet. Practice Division of toys with this worksheet. 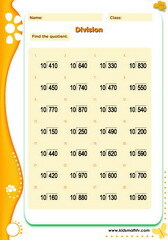 Practice Division with dots with this worksheet. 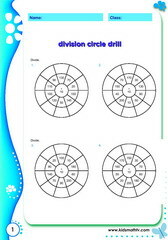 Practice Division circle drill with this worksheet. 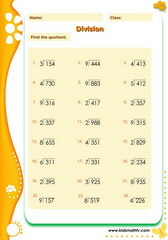 Practice Division basic 2 with this worksheet. 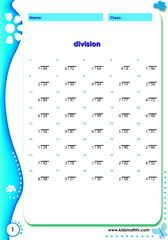 Practice Divide numbers ending in zero by ten with this worksheet. 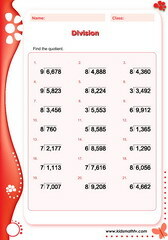 Practice Division matching exercise with this worksheet. Practice Division of 1 2 digit numbers with this worksheet. 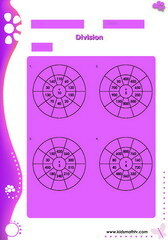 Practice Division table drill with this worksheet. Practice Division with remainders with this worksheet. 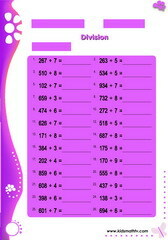 Practice Long division of 1 2 digit numbers with this worksheet. 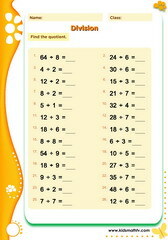 Practice Basic long division with this worksheet. Practice Divide 2 by 1 digit numbers with this worksheet. 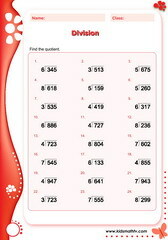 Practice Divide 3 by 1 digit numbers with this worksheet. 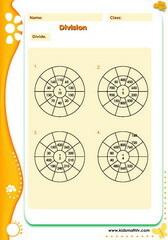 Practice Division match up exercise with this worksheet. 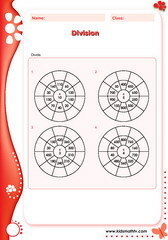 Practice Division of whole numbers by fractions with this worksheet. Practice Long division with remainder with this worksheet. 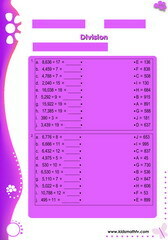 Practice Long division with this worksheet.